While he ruled, around 1950 BCE, there was an official known as Hor who led an expedition for amethyst in the Wadi el-Hudi. Not sure why it didn’t host the images correctly. Beautiful artwork. This book looks like it is a nice gem and meditation tool. I wish I had more to add, but I'll leave my few thoughts anyway. The top image evokes a sense of high ritual, although I could be completely off base. I might have to set aside some time to delve more into it, gathering some facts and meditating upon it before further elaboration. Amusingly, I can see how the bottom left image could be misinterpreted as a romantic sort of embrace by a common, mundane mind. However, it evokes for me a sense of Khenmet, immortally represented in stone. If I am wrong, anyone is free to chime in. It is possible that I have sand in my eyes. The last image involving Horus gives me a feeling of the Aset's Firstborn personally initiating, in a comforting, loving and familial way, an Elder Viperine. Well, it's just a small added snippet, but my curiosity was piqued by the top image, so I have looked more into it. This is a nice site for an initial (but not by any means final or only) study of this topmost image. 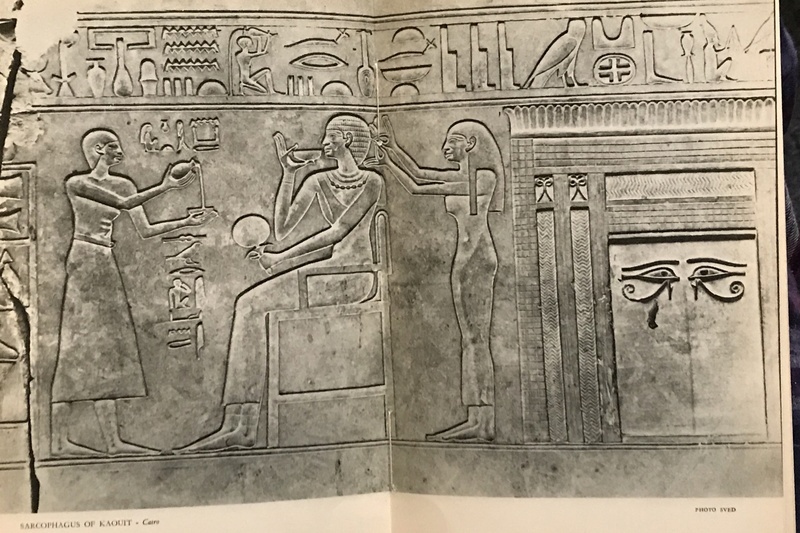 The scene depicts milk being offered to a priestess of Hathor, named Kawit. "For your Ka, mistress. Drink what I give you." Very nice! This is a blatant reference to the vampiric side of the Asetians, and it was revealed to us in The Violet Throne that Hathor was, in fact, an Asetian. References to Hathor in Kemet are quite interesting as well. The quote is exquisite, I must say. It is a thrill to find these pieces of beauty, written on stone for anyone willing to sit with the silence. It is definitely a good meditation tool in my experience. I appreciate your input and perspective of the work and art. 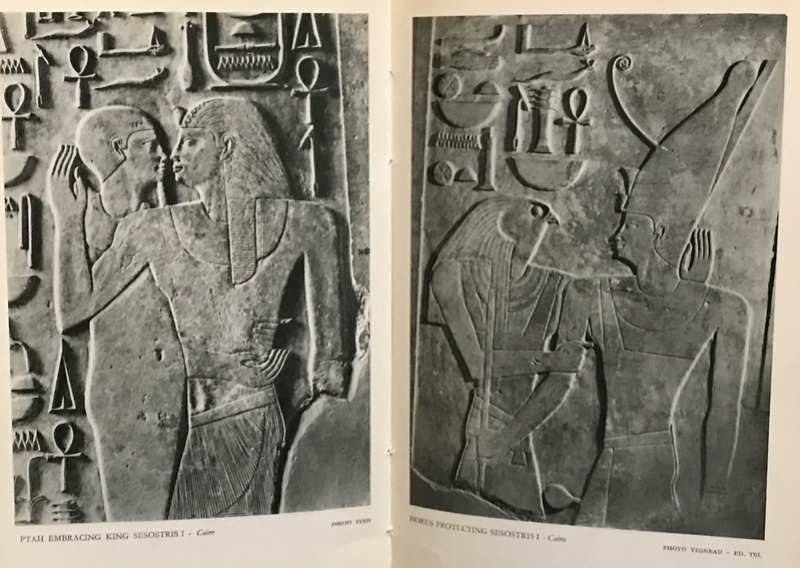 If interested the book is “Egyptian Sculpture” by Jacques Vandier, head conservator of Egyptian Antiquities at the Museum of Louvre, book printed 1951 in Paris, Fernand Hazan Press. I may have to track this one down. Thanks.